What high standards do you have of yourself? Describe a movie or book character that shows integrity. What traits and words come to mind when you think of integrity? List 3 morals you adhere to at all times. 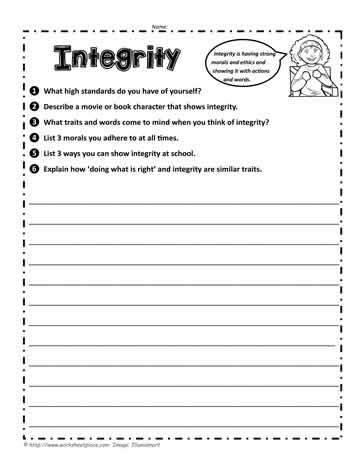 List 3 ways you can show integrity at school. Explain how ‘doing what is right’ and integrity are similar traits.